Jacques Offenbach's famous opera Orphée aux enfers (Orpheus in the Underworld) was first performed in Paris in 1858. It was not until the Vienna production of 1860, however, that Austrian operetta composer Carl Binder provided an overture to it. 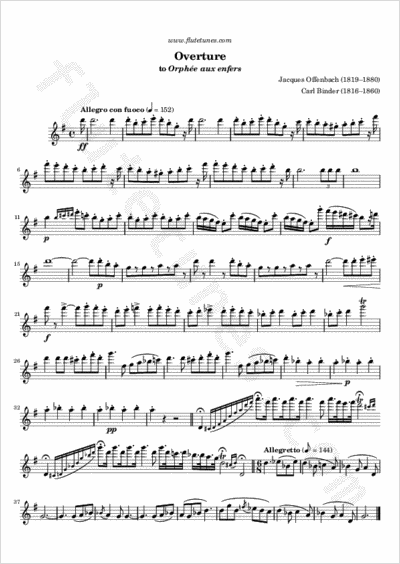 This overture, beginning with a bristling fanfare followed by a clarinet solo and by a tender love song played by the oboe, has become the standard, and famous, overture to Offenbach's work. Thanks to Howard for suggesting this piece!